Every day, people around the world use thousands of products and services that have originated or advanced, through space research and technology. Canadian company Ontario Drive and Gear Ltd. (ODG), based in New Hamburg, Ontario, is an example of how space technology can find its way back to Earth, bringing innovative solutions to human challenges. 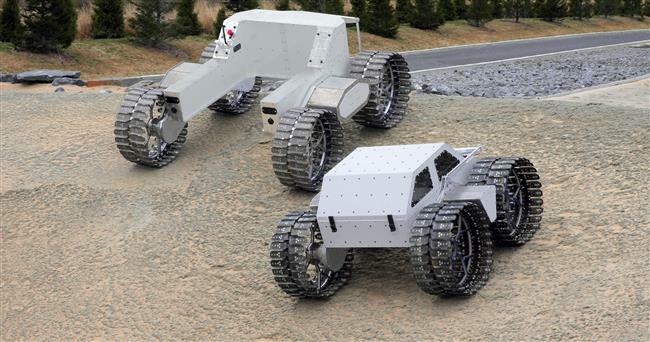 In 2008 the Canadian Space Agency (CSA) hired ODG to design and build lunar rover prototypes. Thanks to the expertise it had developed through this work, in 2013, the company designed and produced a fully amphibious terrestrial rover, the ARGO J5. This terrestrial rover is a direct spin-off of the lunar rover prototypes designed for the CSA (Juno, Artemis Sr and Artemis Jr). 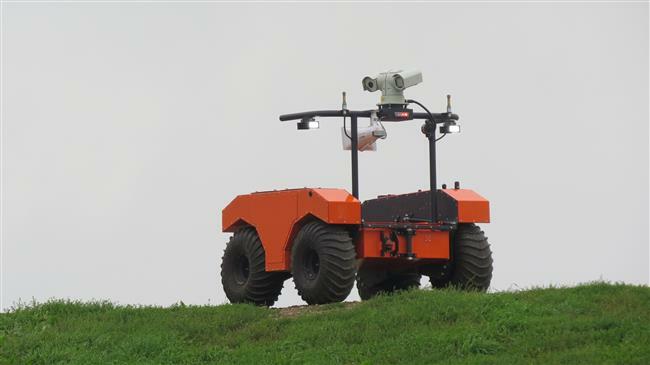 The ARGO J5 rover was the first in a family of commercial robotic vehicles that are now being produced by the company. Early production models of the ARGO J5 are already in service in Canada, Europe, Asia and South America for various applications. 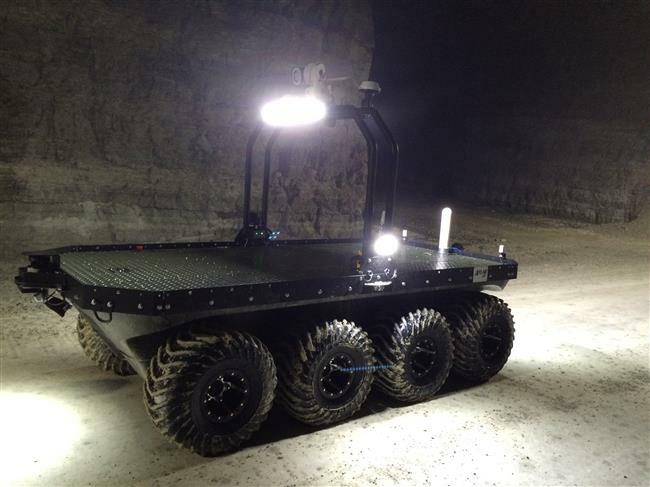 Commercial mining operations – Equipped with a camera system, the rover can perform 3D underground mapping. This technology is useful in post-blast inspections and unstable and/or dangerous mining areas. Academic scientific research – The University of Guelph currently uses a J5 rover for soil sampling in precision agriculture applications. The University of North Carolina at Asheville is using a J5 rover to develop a simultaneous localization and mapping system for real-time navigation over dynamic terrain. Video cameras installed on the rovers identify objects and obstacles to navigate safely and autonomously. First responder and disaster relief scenarios – The rovers are designed to keep life-saving crews out of harm's way while they assess and respond to the most extreme emergencies. 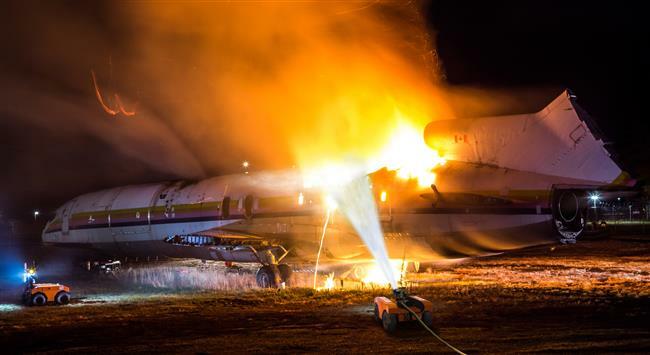 They can survey hazardous areas with the help of a camera system or move in on hot spots with a water cannon pumping up to 5,700 litres per minute. Potential threats including chemical and radioactive materials can also be detected with mobile imaging and environmental sensors. Safe agriculture – For commercial fruit plantations, the spraying of fungicides and pesticides can often be dangerous for field workers. 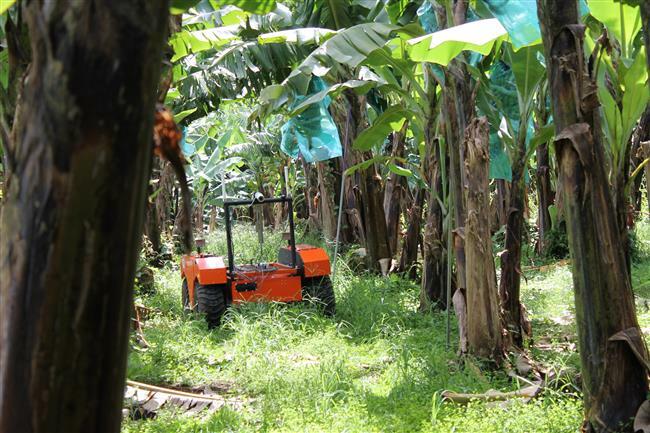 In a select group of banana plantations in Martinique, the J5 rover is being used to address this problem. The operator safely manoeuvres the sprayer from hundreds of metres away without exposure to the fungicide, the hazardous terrain or the climate. The J5 can also be configured for precision spraying in vineyards, orchards, and several other crops. 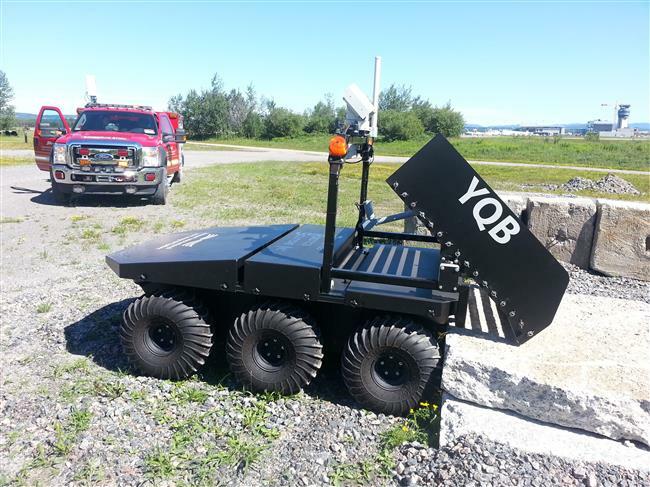 Suspicious package handling – Developed in partnership with Provectus Robotics Solutions Inc., the J6 robotic utility vehicle was designed to enhance airport security by quickly removing suspicious luggage and packages from baggage handling areas. It is currently being used daily at Quebec City's Jean Lesage International Airport. In April 2016, ODG delivered two new rovers to the CSA. The Lunar Rover Drivetrain Prototype, which forms part of the Lunar Rover Platform and Drivetrain Prototype (LRPDP), was subjected to rigorous testing simulating the harsh conditions that exist on the Moon. 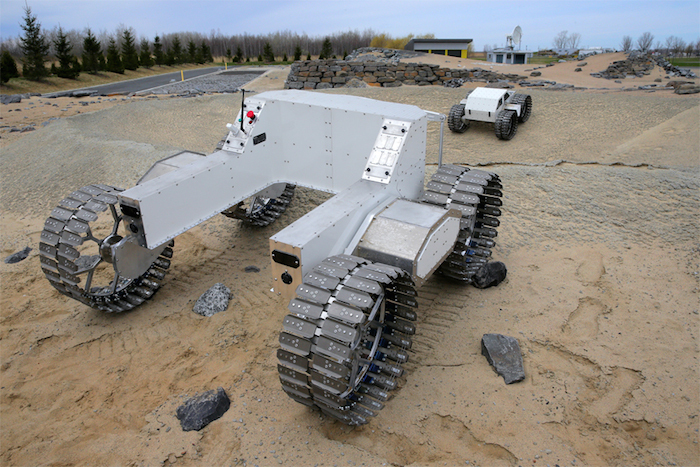 These tests have never been done on previous CSA rover prototypes, and the findings will help further mature Canada's rover technology to prepare for potential future exploration missions. The second rover, the Small Planetary Rover Platform (SPRP), completes the CSA's fleet and is compatible with smaller payloads and sensitive instruments requiring protection from environmental exposure.